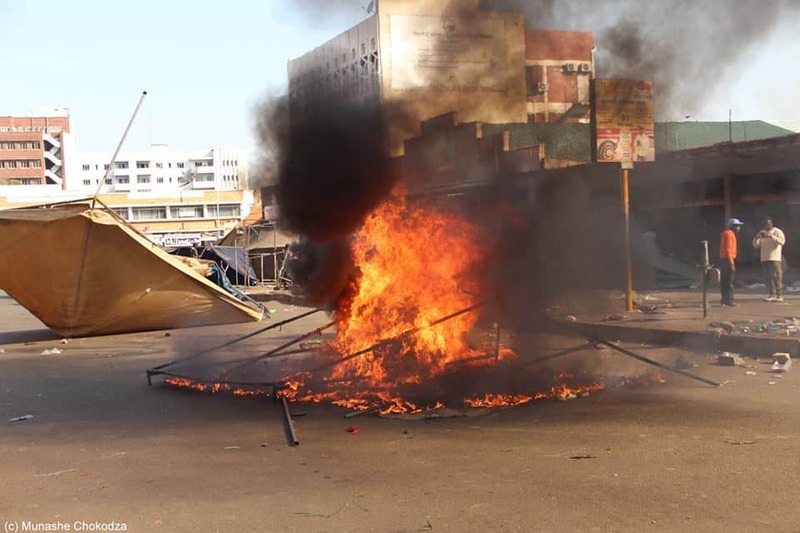 Women’s Coalition of Zimbabwe (WCOZ), a women’s rights organization has condemned the post elections violence that rocked Harare resulting in the deaths of six people while up to 25 were left nursing injuries, urging political leaders to desist from issuing inflammatory statements. In statement released last week, WCOZ expressed deep concern over the use of live ammunition on innocent civilians by the army saying such actions have devastating effects on the participation of women in public political affairs. “Presidential Candidates and their respective political parties must desist from making inflammatory statements both formally and informally. Both sides of the political aisle must act with restraint and not resort to violence. We call upon the media, to provide women’s rights responsive media coverage that promotes women’s dignity and voice,” they said. WCOZ added that the Zimbabwe Defense Forces and Zimbabwe Republic Police must respect the UN Basic Principles on the Use of Force and Firearms by Law Enforcement Officials (Adopted in Cuba, 1990). “All electoral actors have taken actions that remind women, once again, that Zimbabwean public spaces are spaces of violence and fear. This violence and fear has a devastating impact on women’s rights and their participation in public political affairs. “The International Community here present, including the Southern African Development Community, African Union, European Union and United Nations must continue to uphold their commitments to ensuring Zimbabwe finds peaceful and lasting solutions that respect and protect the rights of women in this post-election phase. “added WCOZ. WCOZ reminded electoral players and institutions that the women of Zimbabwe have been and will continue to demand an election that is free, fair, credible, peaceful and equitable, delivered through transparent, accountable and most of all peaceful processes leading to non-contested results. I am a conscientious person who works hard and likes to think outside the box. I'm flexible, quick to pick up new skills and eager to learn from others. I also have lots of ideas and enthusiasm for creative projects. I am a fast and accurate writer, with a keen eye for detail. Currently a reporter at 263Chat and a contributor to Divas Inc Online magazine.